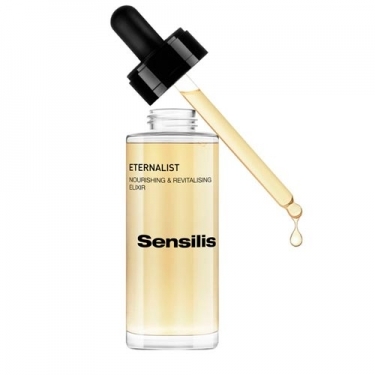 DESCRIPTION: Eternalist Nourishing & Revitalizing Elixir from Sensilis is a specific treatment to intensely nourish dehydrated skin, erased or weakened by the passage of time. An intensive relipidizing complex nourishes in depth and the ultraconcentrated of Essential Fatty Acids and Japanese Cherry Blossom Oil of high ultra nutritive efficacy that restructures the cutaneous hydrolipidic barrier. Vitamin C provides extra vitality to the skin, unifies the tone of your skin and dramatically increases its luminosity. 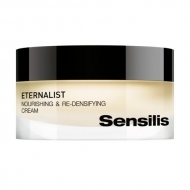 Oil of non-greasy texture highly emollient. It can be used alone or as a step prior to daily anti-aging treatment.